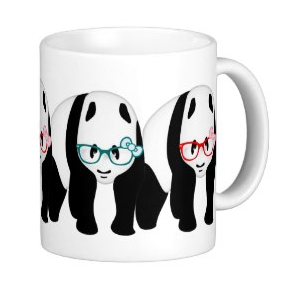 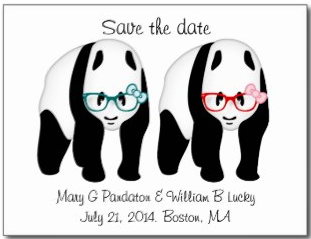 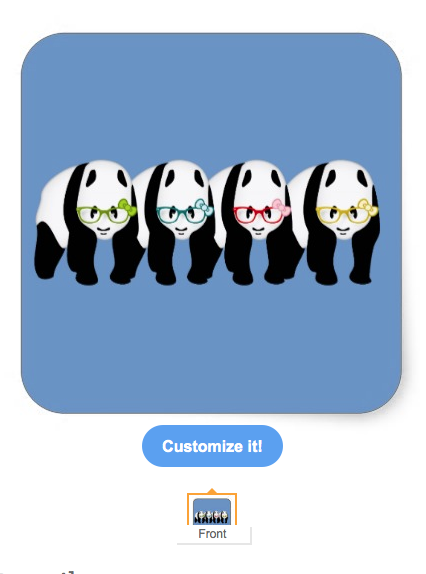 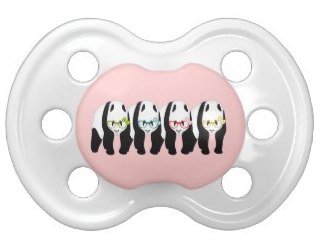 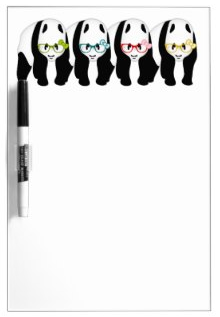 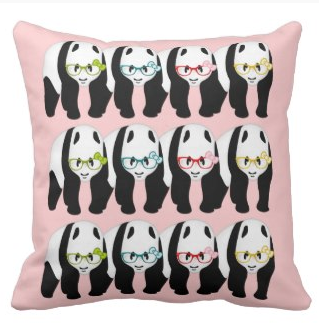 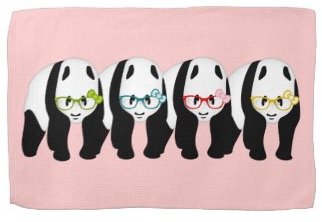 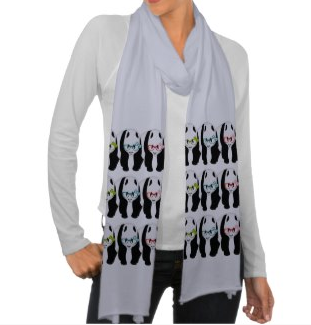 Pandas wearing glasses, these designs and more can be found on a variety of products in my piedaydesigns store. 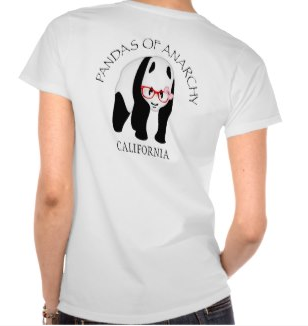 Pandas of Anarchy This is a fun play on a Motor cycle club logo. 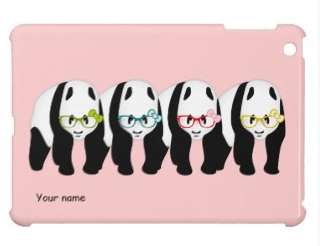 The panda is looking through red glasses with a pink bow on them. 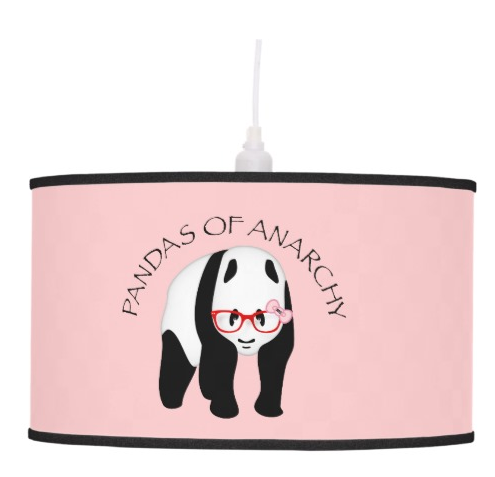 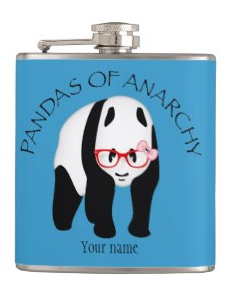 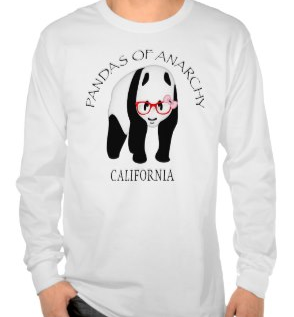 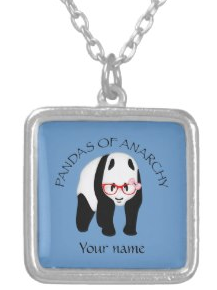 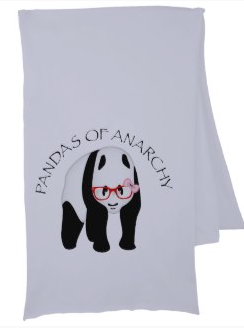 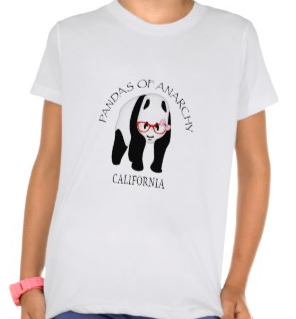 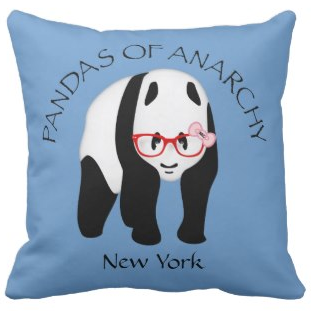 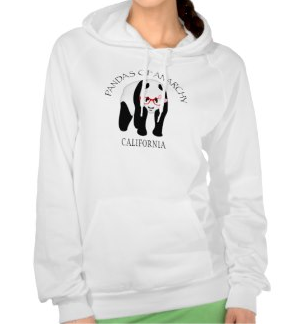 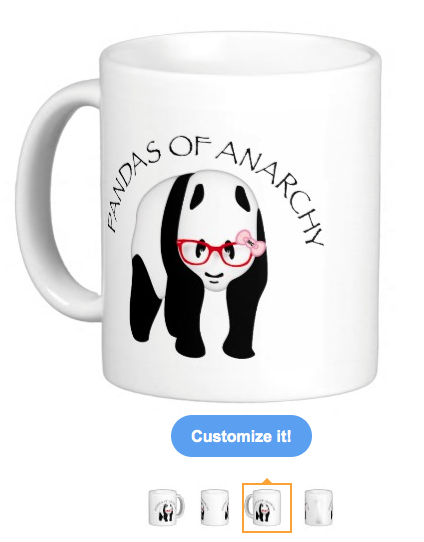 Many of my Pandas of anarchy products can be customized by changing "your name" to any text you like.